Disclaimer: The Campfire Audio Atlas sent to us for the purposes of this review is a sample and does not have to be returned. Thank you to Campfire Audio for giving us this opportunity. Campfire Audio came out with two new IEMs this summer 2018, the Comet and the Atlas. You can read our review here of the Comet. 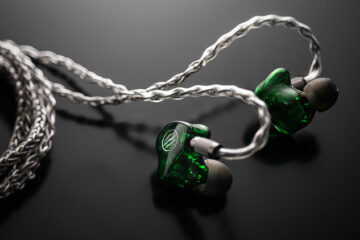 Both IEM’s were a complete break from their previous design ethos with those drop-forged stainless steel chrome bodies. The Comet scored really well with us. A great price point, an ambitious exciting sound for a single BA using trickle-down technology previously seen on their more expensive IEMs. The brand new Atlas is a different proposition even though it looks like a fatter version of the Comet. 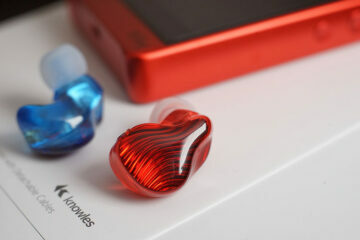 This is their new co-flagship IEM at $1299. It replaces the Vega as the TOTL IEM in their range and features a number of improvements over the Vega. I loved the Vega, it had ‘bass-balls’ the size of watermelons and could knock down nut cutlet walls with a mere glance such was its low-end physicality. It will be interesting to see if the Atlas builds on that or takes an entirely different direction with its new dynamic driver. If there is a house sound developing for Campfire Audio then products like the Cascade and Atlas may well be the strongest indicators yet that it is going to be more musical than analytical. These are both statement products in each respective category for Campfire. For the Atlas pitch, there are two clear points on what makes this new TOTL IEM unique in their line-up. The first is the visually striking directionally agnostic design first seen on the Comet. Quite apart from the unique looks, CA is pitching this as being highly durable, an all-around better fit as well as being more flexible in wearing it straight-up or over-the-ear and still getting a good seal. The second big pitch is the specific sound CA is aiming for with the Atlas. In short, it is described as a “massive sound” and a “powerhouse”. In order to achieve this, they have upgraded the already visceral 8.5mm A.D.L.C. diaphragm dynamic driver from the Vega with a 10mm version of the same driver. The driver is actually constructed out of a diamond-like carbon and graphite composite with a noted strength it terms of rigidity to allow it to push hard but still retain excellent levels of low-distortion and micro-detail. Imagine a much fatter looking Comet and you have a pretty good idea of the form factor of the Atlas. Like the Comet, the Atlas completely ditches the curved PVD finish of the 2nd gen liquid metal alloy designs as well as the original edged bulkier machined aluminum of the Andromeda and Jupiter. Instead, the Atlas is constructed from drop-forged stainless steel which is then CNC machined and polished to a very reflective level. ‘Super shiny’ is the operative phrase here. The little CA branded motifs that neatly adorn each side just below the MMCX connectors remain the same. As with the Comet, the Atlas is one seriously solid 3-piece driver shell construction. Any concerns about chips, flaking or cracks seem, for the moment, been put to rest. 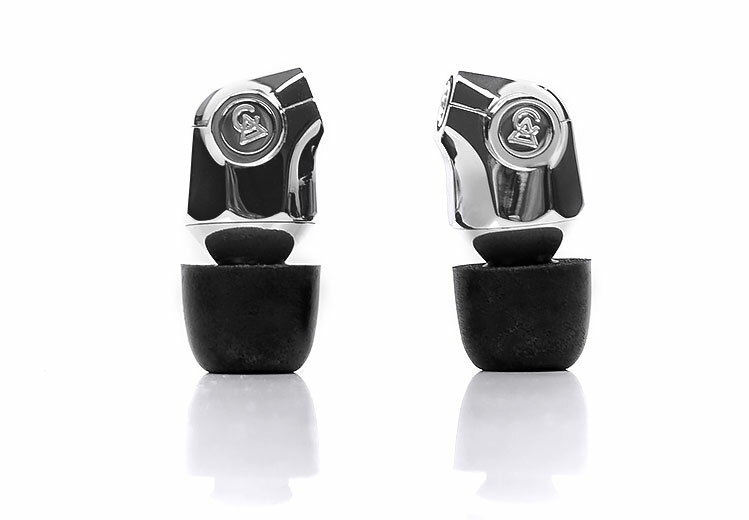 The Atlas shape is bulkier than the Comet but it still takes its cue from the bullet-shaped IEM design principle. Here, the emphasis on the tip creating the best seal. The rest of the body sort of gets out of the way so you are not fiddling for comfort. Campfire Audio, however, has tweaked that core design to curve it slightly in a downwards motion. This means less strain on the cable and an initial nudge to wear the Atlas straight down as opposed to over your ear. That being said, you can wear it over your ear with slightly improved noise levels from the cable but it does feel a touch more natural straight down. However, the Atlas is a weightier proposal than the Comet so you will feel this one a little more in your ear than the lighter thinner single BA variant. The front third of the Atlas is really the dome and nozzle. The design is the same length as the Comet version but proportionally a little less of the build-length in total. It is also still nicely integrated into the main body with the final diminution of width in the barrel only happening on the final 5mm. It does seem to be marginally thinner than the Comet version and the grill at the front has 2 fewer openings in total. There is a very generous and refined lip for holding the tips. The lip edge is quite grippy like the Comet so again, be careful taking off foam tips on the Atlas to avoid accidentally tearing them off. The driver bodies on the Alas are not marked meaning they are channel agnostic. The left and right markings are on the detachable cable MMCX connectors. Campfire has continued with the beryllium plated MMCX connectors on Atlas as they have done so on every IEM since the original Lyra MK1. They are pretty durable and a welcome addition for cable rollers worried about the connectors breaking from multiple change-overs. The Atlas has a change up from the copper Litz found on the Comet and Polaris. This is a 4-core pure Silver Litz cable. I presume a Type 1 Litz variant though it does not say what type of Litz design on the CA website. 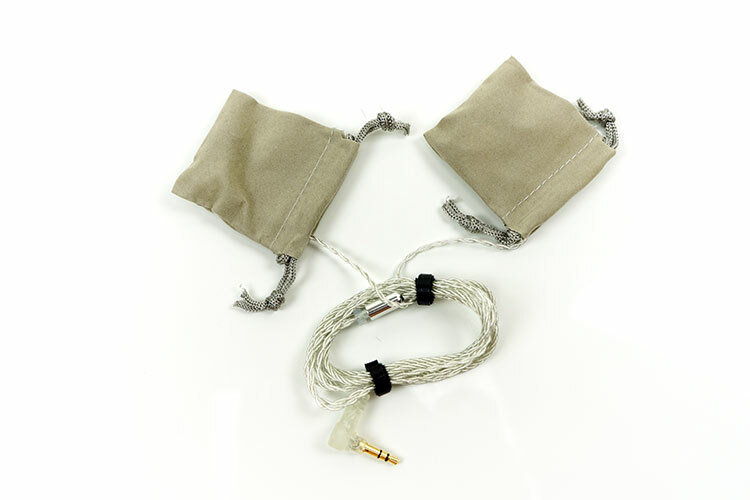 The cable is jacketed in a braided thin PVC coating and terminated with a rubber right angle 3.5mm TRS gold-plated jack on one end and the beryllium copper MMCX connectors on the other end. The Y-split is a matching silver color slightly flattened barrel with a translucent chin cinch. There are no inline modules or remote playback options on this cable. The handling is excellent with virtually no memory retention meaning no tangling concerns. More importantly, this is a microphonic free cable meaning no noise travels up the physical wire from inadvertent knocks during use. As with the copper Litz version, there is no memory wire since it is designed for straight down wearing though you can also wear it over the ear if you prefer. Everything comes down to the tip you use because the Atlas itself is designed to “get out of the way” in terms of fitting. The design means it will not cover any aspect of your outer ear so tip fitting is crucial. That should be good news because there will be no pressure issues or potential edges digging into your ear. CA have taken the “what if” out of the design and kept it well away from concerns like that. As a result, it is a pretty comfortable fit whether over the ear or worn straight down. Because of its larger size over the Comet, there is a little more presence felt in the ear when you insert the Atlas. However, I actually find the stability to have improved a little, perhaps even due to this additional weight. The tip selection has changed slightly from the Come selection. In fact, this is the first CA IEM that does not come with SpinFit tips. Instead, we now have 5 pairs of Final Type E single flange medium bore silicone tips in XS, S, M, L and XL sizes. Aside from the new Final tips selection, you also get a set of CA Marshmallow foam tips in small, medium and large alongside a range of black regular single flange wider bore silicone tips also in S, M, and L.
The single wide bore black silicone tips had almost no isolation or seal for me despite on the largest tips. You lose a huge amount of staging, note body and power on the Atlas if you cannot get a good seal by the way. The marshmallow foam tips will give you the best seal but also the warmest tone and the heavier bass response. They are thunderously awesome but for those that want a bit more sparkle, the Final Type E types represent the best compromise. I must warn you not to stick the Final Type E tips in too far as they have a tendency to close up in smaller spaces and block the sound. Just a light insertion will do the trick. The packaging dimensions and purposing is the same as the rest of the range. That is a good thing for consistency but the price difference between the Comet and Atlas is stark. I wonder if something a bit more “special” on the packaging could have been done. Still, that minimalist cardboard box has served them well and I bet it cuts down significantly on logistics costs for deliveries. The graphics and artwork is the styling same as the Comet with just a change from orange to a blue label print. It is less psychedelic, less astronomy based and more product-centered with the Atlas itself on the front. Inside you will find the tried and tested “pimped” or fur-lined semi-stiffened black zippered leather carry case which I just love. 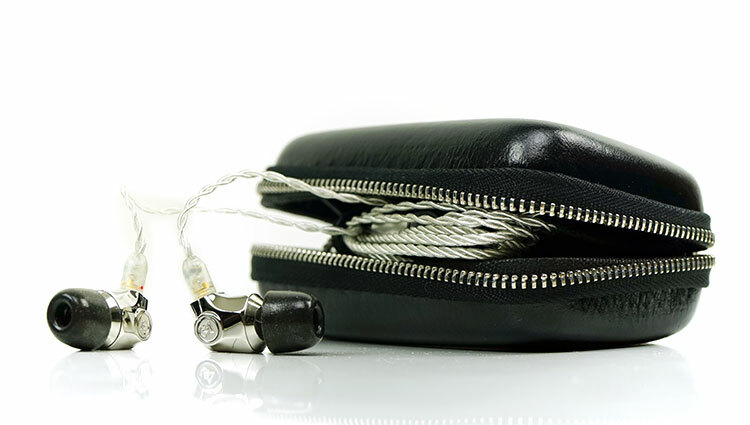 It is probably one of the nicest IEM carry cases out there right now but if I was being a real stickler I preferred the slightly worn leather look of the Andromeda case finish. This one is a little too smooth though I do wonder if carrying it day and night will leave it with a retro look anyhow. Aside from the case you also get a small cleaning brush and the small CA pendant. The drivers also come wrapped in little brown mini-cloth pouches to protect them from accidental knocks and damage. I think it does to be honest but its going to come down to individual preferences. The bass is powerful with tons of depth so for large drum sequences in classical I think it portrays that with a lot of authority. However its a bit moot with a violin quartet where mids might be more prominent. The little edge Atlas has in the upper mids and lower treble might be better than the Vega for plucking though. They say the IE800 was always great for classical stuff so I think if you like that sound the Atlas is going to do just as well as if not better in the upper mids. Thanks man I appreciate the feedback! Always welcome here. Great review Marcus! An enjoyable read and I have to say I agree with your assessment.